From the collaborative efforts of master bladesmith Daniel Winkler and Rafael Kayanan, comes Winkler Sayoc RnD's Front Spike Hawk. 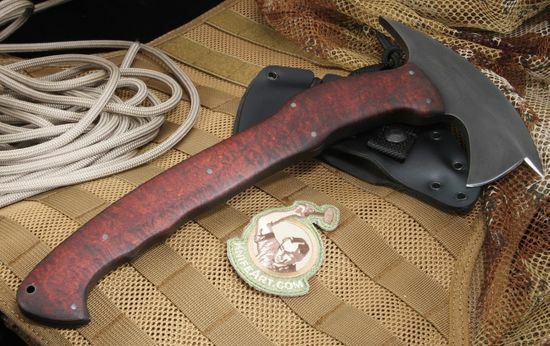 A tomahawk with a tactical design, yet created with an aesthetic beauty that is uncommon in tactical tomahawks, the design and flow of the hawk shows a lot of pedigree from its designers. Daniel Winkler is perhaps most well-known as being the bladesmith for the film Last of the Mohicans, where his love and enthusiasm for early American blades and weapon designs inspired his creations in the 1991 movie. The Front Spike Hawk also borrows inspiration from Filipino martial arts, as do many blades in the Sayoc RnD collection. 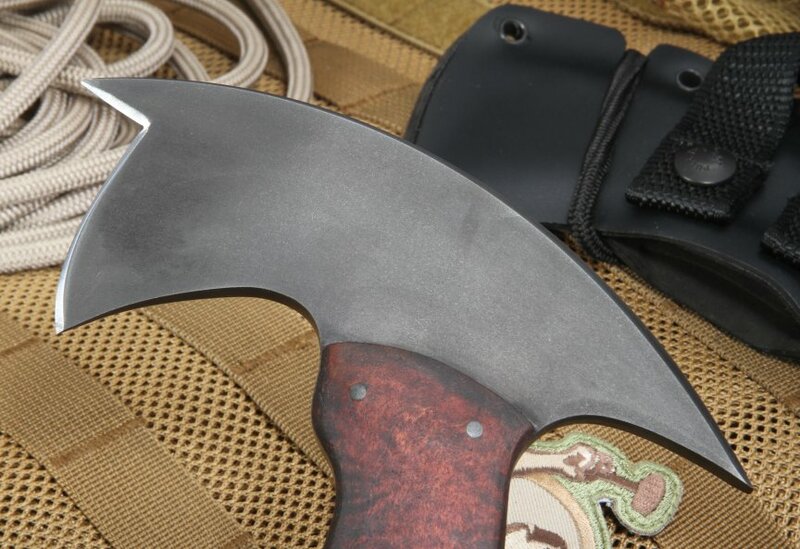 This full-tang tomahawk forged from 80CRV2 high carbon steel with a Black Caswell finish offers strength, flexibility, and corrosion resistance that is perfect for a tactical tomahawk. 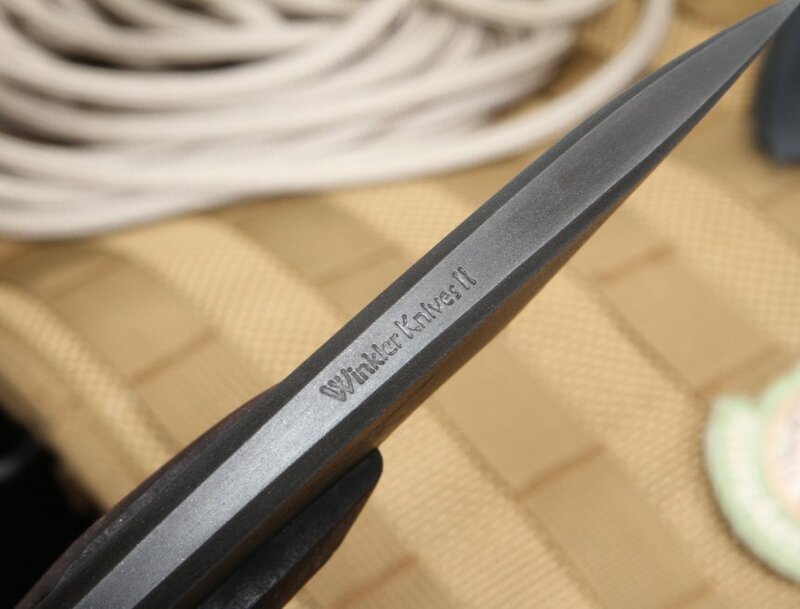 With steel construction closer in hardness to tool steel, this blade can take some punishment while still being able to keep a razor sharp edge along its 2.25" cutting surface. The spike is effective as a glass breaker as well as direct puncturing with the full weight of 1lb 6.2oz of steel behind it. 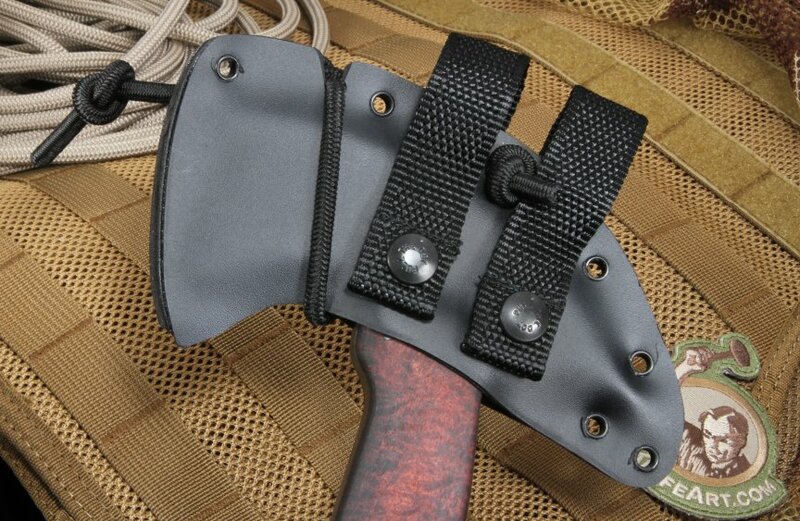 The 5.5" head allows for tactical maneuvering as well as portability, clipped into the felt-lined Kydex sheath on your hip or secured to your pack. The overall length of 13" is set off with a beautifully crafted and polished curly maple scales the full length of the handle. Three areas for a secure grip allow for a variety of ways to utilize this tomahawk, either for full swings or choked up near the head for precision. The lanyard hole at the haft allows for an option of carrying methods and implementation as well. 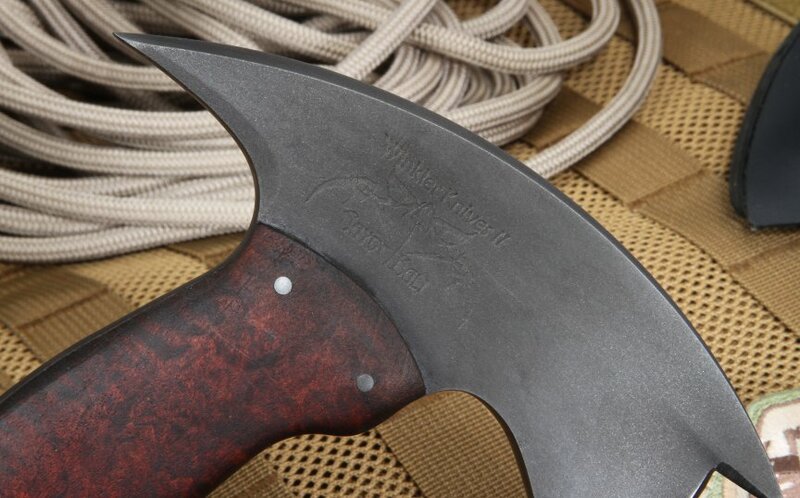 Daniel Winkler Knives II are backed with the experience of years of design for the tactical knives of Special Forces groups for the United States as well as the Allied forces. As an authorized dealer of Winkler Knives II, Knifeart.com stands by their product and backs your loyalty with free shipping on this limited production piece.